Pieter Hoff is the inventor of the Groasis Waterboxx. It was elected the `Best of Whats New 2010 by Popular Science, one of the most influential science magazines with over 3 million readers around the world. The Groasis Waterboxx beat 116 great products mostly from Fortune 500 companies; amongst them, the fantastic Apple iPad and the incredible Philips ledlamp. His innovation allows trees to be planted in deserts, on mountains, eroded areas, rocks and even in the ashes of burned forests. The invention brought him into the world of CO, which is explained to the reader in surprisingly easy to understand concepts. 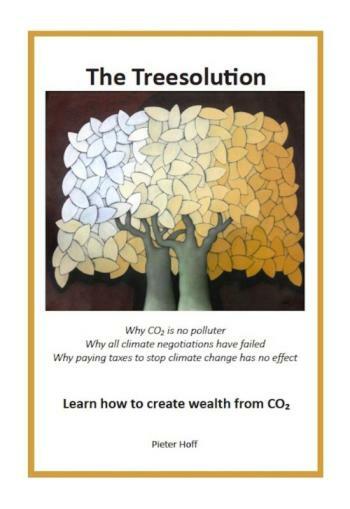 `The Treesolution clarifies how to solve the CO emission problem and turn it into a CO wealth creating opportunity.